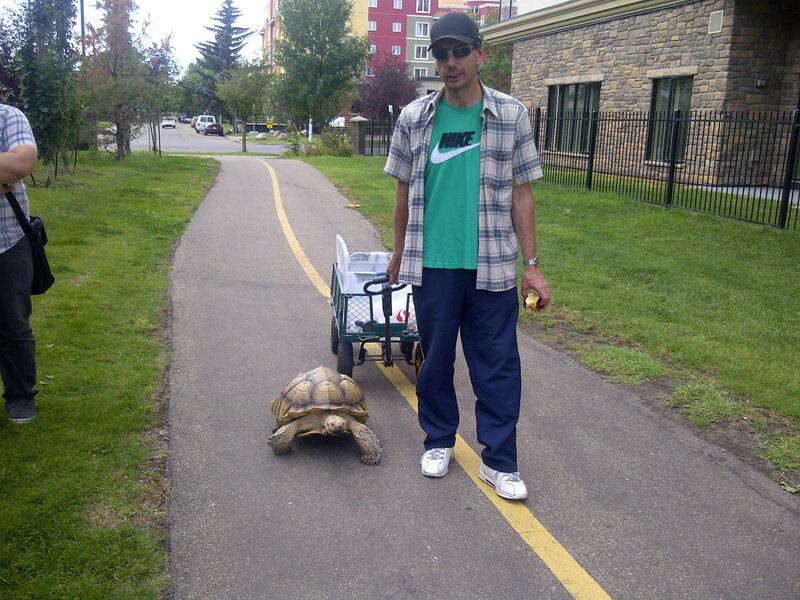 Two years ago I was just a block from my apartment when I saw a man walking a giant turtle. Not one to be shy in random moments like this – I walked up and said hello. I learned that his turtle liked to go for walks (he certainly scooted along pretty quickly), and that he didn’t like when dogs came up and put their dirty noses on his shell. 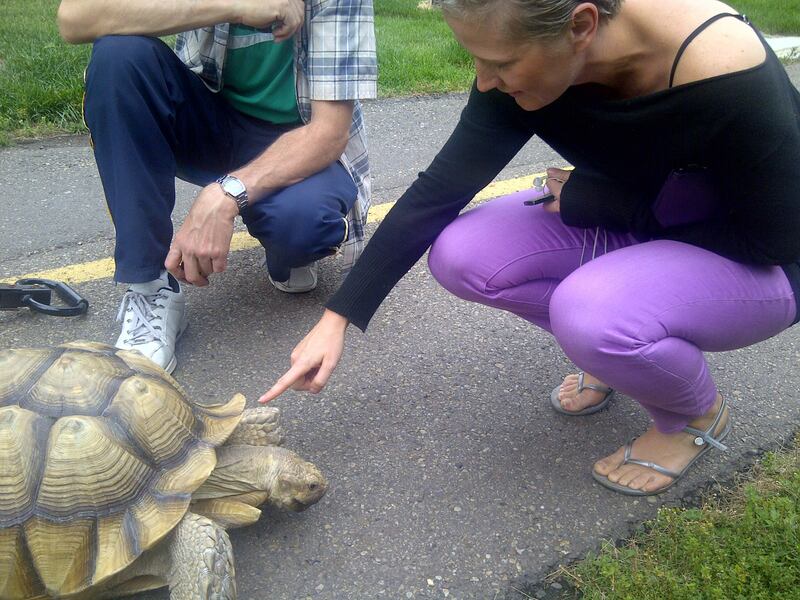 I’m sure he has people asking him questions every time he takes his turtle for a walk, but when I told the gentleman I had been to the Galapagos Islands he seemed excited to stop and talk to me. 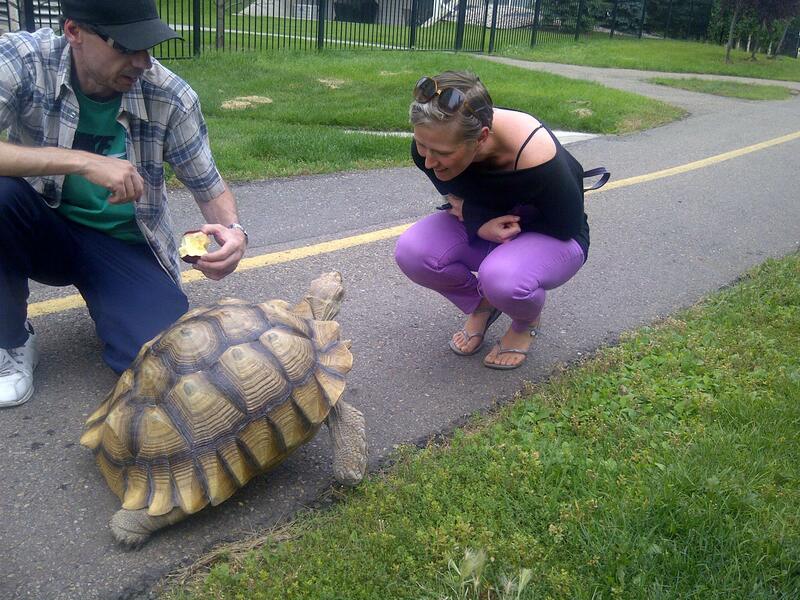 He even offered to let me feed his turtle some apple. I walked away having one of those – I can’t believe that just happened – moments. I saw the man a few more times that summer, but I haven’t seen him since. Now that the weather is warmer I often hope I’ll run into him when I leave my place. I’m desperately seeking the Oliver turtle.